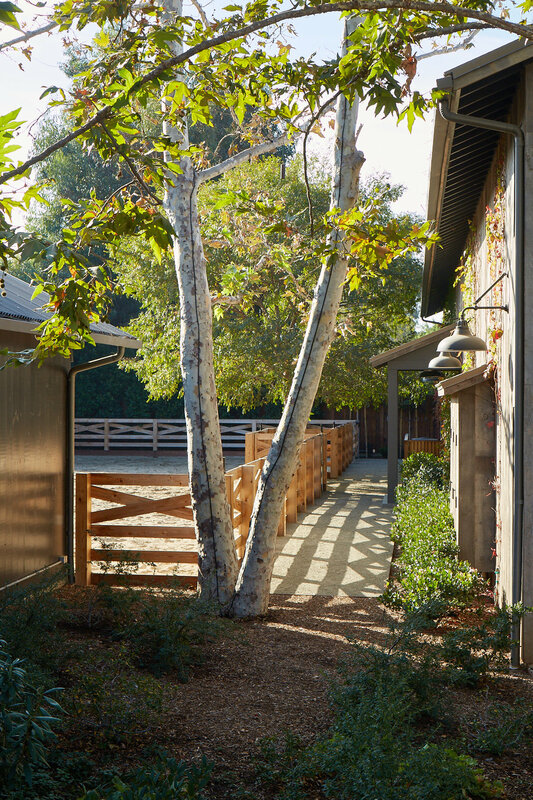 The goal of this property was to design a contemporary homestead, complete with a paddock, barn and stables. 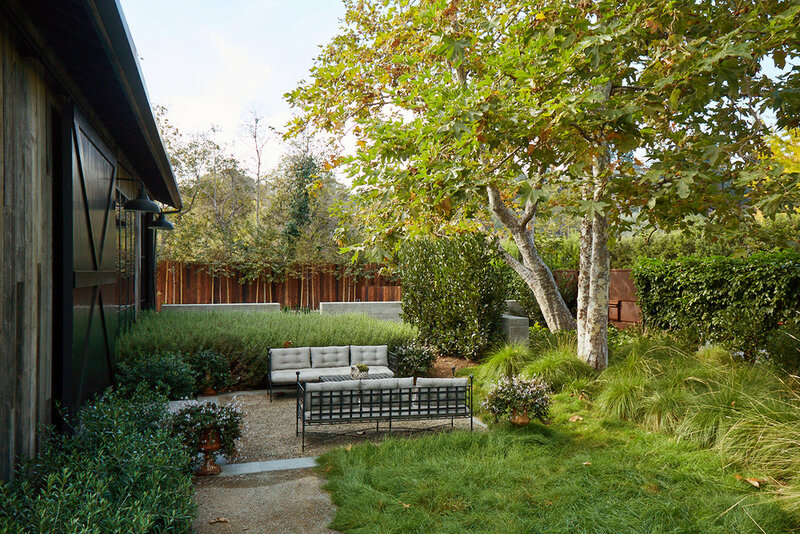 Simple and natural materials on the house set the tone for a garden that is both tactile and evocative. 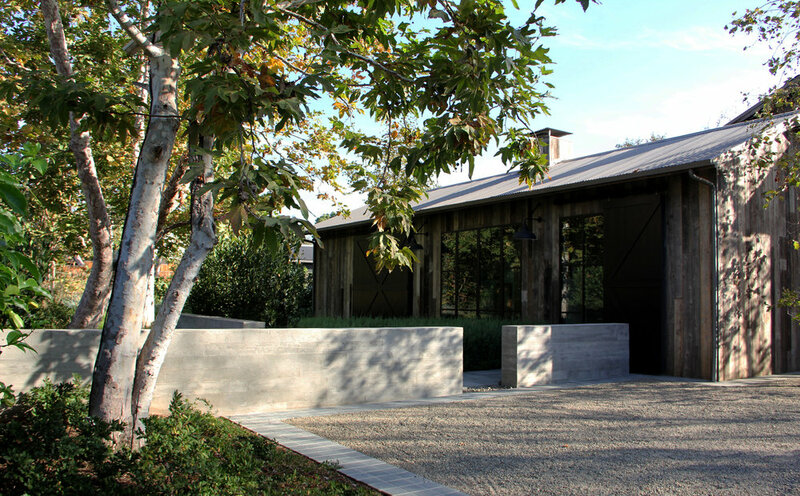 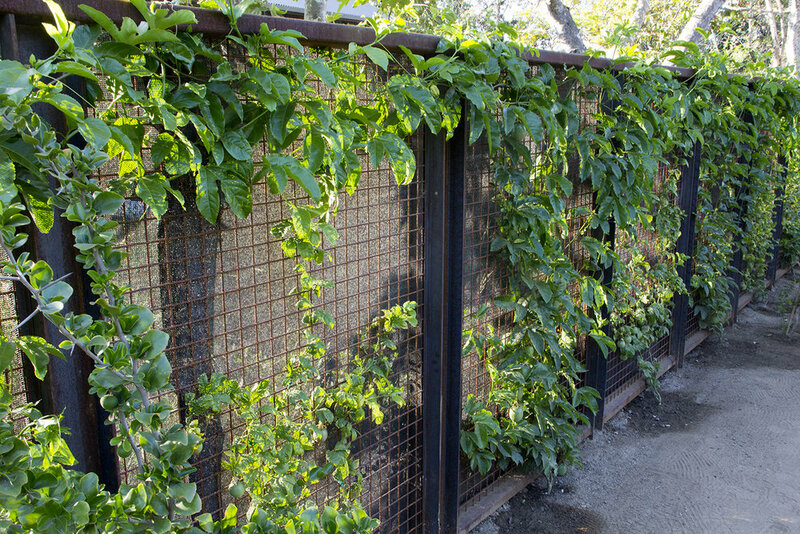 Bluestone paving, board form walls, and corten steel gates and planters frame a garden that celebrates production, scent and color. 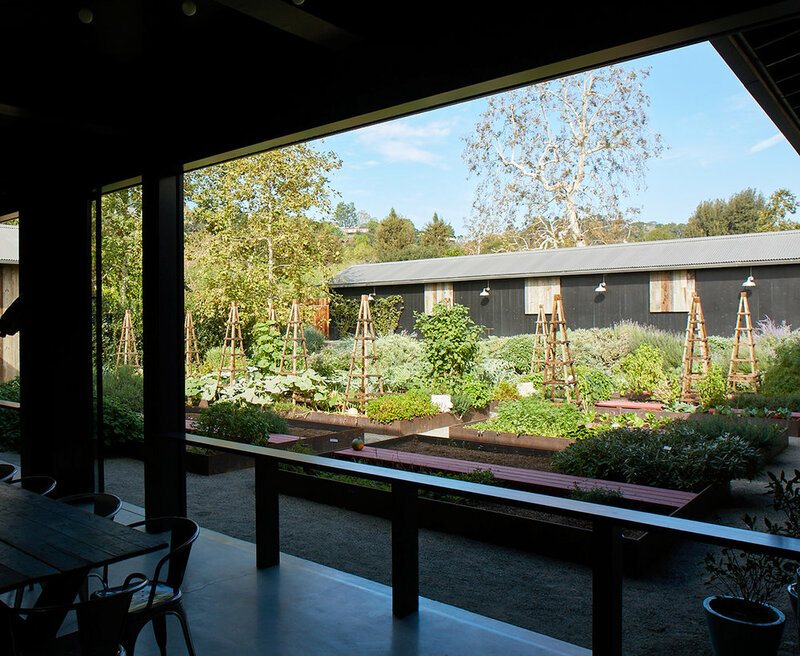 A custom chicken coop sits amid an orchard, a pink crepe myrtle aerial hedge explodes with color every summer, and the courtyard parterre garden grows a myriad of edibles and cutting flowers.